We will have over 1,000 guests on Easter and we thank you for committing to serve them well. 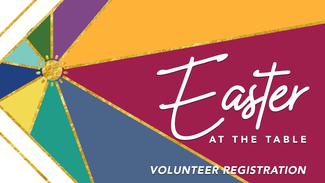 Please mark April 14th on your calendars for our Volunteer Training and Easter Set-up day! We will be making sure all volunteers are trained and our campus looks great for Easter Sunday! *Please note: Every individual in a family needs to complete a sign-up. This will ensure we get an accurate count for t-shirts and badges. Greet guests and assist with directions.